Hate Crime is a growing problem within the UK with Police reporting that hate crime because of religious beliefs had risen by 40%, from 5,949 in 2016-17 to 8,336 in 2017-18. Most religious hate crime – 52% of all offences – was aimed at Muslims. The total number of hate incidents reached a record 94,098 from April 2017 to March 2018 – a rise of 17% from the previous year. Just over three-quarters of those – a total of 71,251 – were classified as “race hate”. In the face of growing hate it is essential that education of the issues helps to combat these prejudices. Sophie Cook, author, campaigner and TEDx speaker has designed a Hate Crime Awareness course that helps your team to understand the issues around Hate Crime and the impact that it can have on those who experience it. Through the use of personal stories it increases empathy helping to build an anti-discrimination culture within your organisation. A Hate Crime Ambassador for Sussex Police and Ambassador for Kick It Out, Sophie looks at identifying prejudice and reporting procedures, all of which help you develop a zero tolerance policy on discrimination. What form can Hate Crime take? Who could be a victim of Hate Crime? How is a Hate Crime different to any other crime? How does Hate Crime affect disabled people? What is a ‘Mate Crime’? What should we do if we are a victim of a Hate Crime? How will this training help my team? It will give them an understanding of the impact that Hate Crime can have on others, helping them to feel confident in speaking out against it. They will recognise Hate Crime, understand the effects and know how to act on it. Have a knowledge of how the law responds to discrimination. 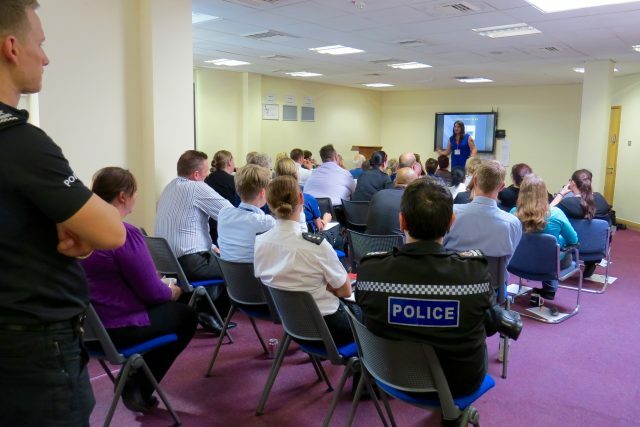 They will have the empathy and knowledge to better support victims of Hate Crime. Generally, they’ll just be lovelier, more knowledgeable people and we’ll all have a great, entertaining and productive time together. The full programme above can be tailored around your operational requirements, and it’s possible for multiple sessions to be provided on the same day to different team members. Our fees operate on a sliding scale based on the size of an organisation or business and start from as little as a few hundred pounds.